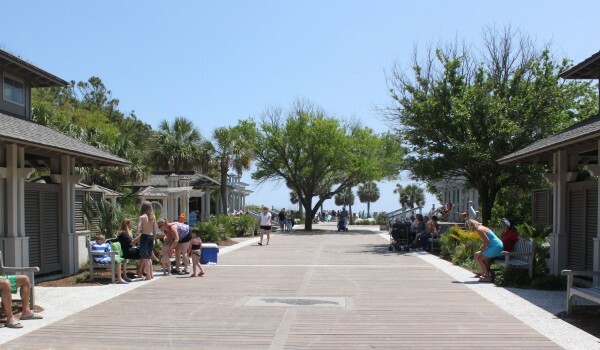 Coligny Beach Park, one of the best and most popular places on Hilton Head, gives locals and tourists the chance to step onto the sand and let the sea breeze carry every worry away. It just an access point to the beach, but a full beach park with outdoor showers, changing rooms, restrooms and a variety of lounging options. 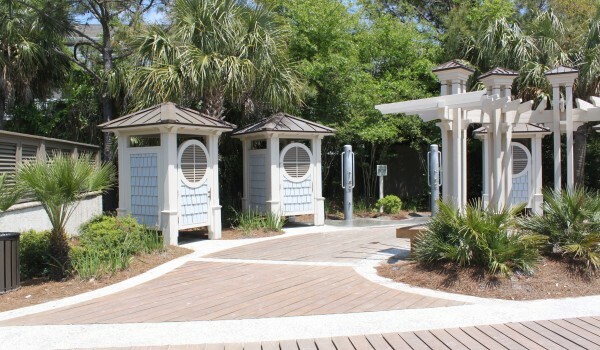 In addition to the beach chair and umbrella rentals available on the beach, Coligny also has swings and wooden chairs under shaded gazebos available to anyone who needs to rest their feet. This beach is wheelchair accessible with beach matting leading down to the water and there are also seasonal lifeguards on duty. And yes, Coligny even offers free Wifi so beachgoers can use their phone or tablet to upload any special pictures they take with their friends or family. You can find the access to the beach at Coligny Circle, where North Forest Beach Drive, South Forest Beach Drive and Pope Avenue meet. And just across the street from the beach, at 1 N. Forest Beach Dr., you’ll find all the restaurants and shops you need at Coligny Plaza. All of the shops are beach-goers friendly and there are several restaurants that have a little bit of everything for kids and their parents – smoothies for kids and other fruity beverages that adults can enjoy. 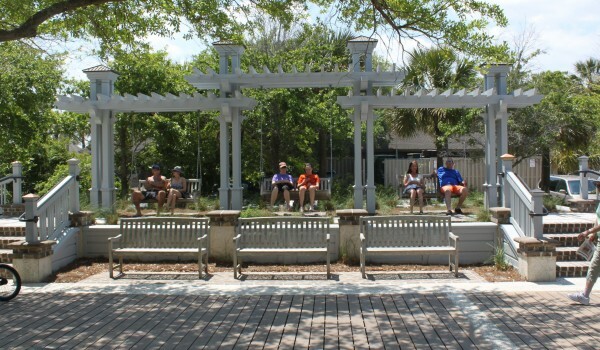 Whether you’re coming by car or bike, Coligny Beach Park has you covered. There are racks to lock up your bike, as well as FREE parking available for cars right across the street. If you’re heading east on Pope Avenue, take the last right before the Coligny Circle roundabout, to enter the free beach parking lot. With a crosswalk on South Forest Beach Drive, you can walk to the beach safely from your car. There are also several transit services from different hotels and resorts that pull right up to the beach park to drop visitors off.